On a day that's likely to be filled with grilling and fireworks, let's take a moment to do something special for Fido — especially since dogs rarely get in on the grilled food scene and most aren't fans of the fireworks either. 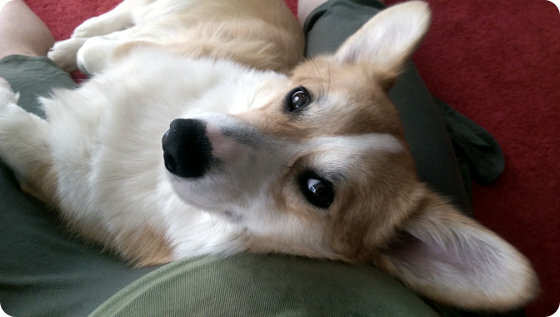 And really, how could you say no to a face like this? This particular particular face belongs to my dog, Pepper. 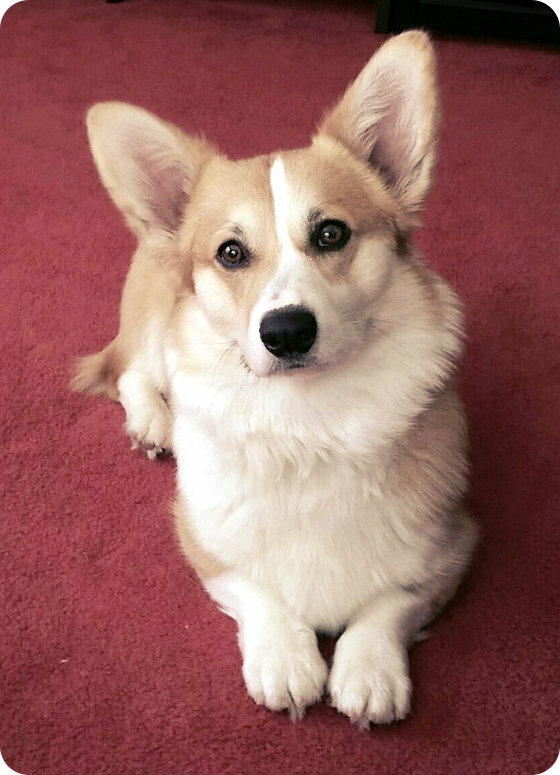 Pepper is our Pembroke Welsh Corgi and he's every bit a part of our family as the people. He has his favorite walking routes around the neighborhood, playdates with other furry friends in our backyard, more toys than anyone needs, and an uncanny ability to know if a peanut butter jar has been opened anywhere in the house. So it only makes sense that peanut butter would be part of the makeup of his favorite frozen treats. That's right - we make frozen goodies for our dog and he adores us for it! My favorites are half ounce "pops" we make in a little silicone candy mold in the shape of hearts. We can give him one or two at a time and he feels super special, but we're not in danger of plumping up our pet, despite his own wishes to eat all the things. To make them, I simply mix about a cup of plain yogurt with a few tablespoons of creamy peanut butter that's been microwaved for about 30 seconds to make it easier to stir. Then I spoon it into the molds, scrape off any excess, and let Pepper enjoy any leftovers. Then they get a stay in the freezer for a couple of hours before I pop them out of the mold and into a freezer bag. Suddenly, I have a bag of fun goodies for the pup whenever we need them. Oh, and they are people-friendly too. My daughter loves them nearly as much as the dog! Rather than feed him snacks that are filled with lots of fat, salt, or other stuff he doesn't need, I like being able to control what he's getting when it's good boy time. I mean, for being such a pampered pup (as seen below), he should also be getting snacks that are both good and good for him. And today, being Independence Day, seems a great time to remind you to find ways for our dependent furry friends to celebrate alongside us!